Loctite 3555 Light Cure Adhesive – Very fast, for coloured transparent substrates, ISO 10993 certified. Loctite AA 3555 cures rapidly when exposed to visible light of sufficient intensity. The rapid cure characteristics of this product make it ideal for potting applications which require a fast and large depth of cure. The ability of this product to fluoresce under black light facilitates inspection of bonded assemblies for adhesive presence. 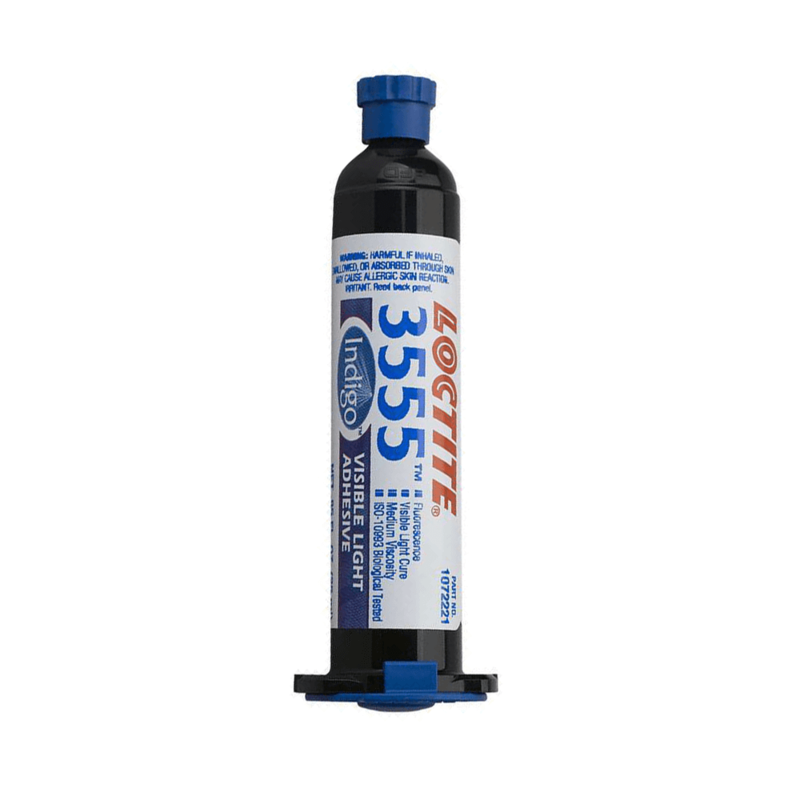 Loctite AA 3555 is suitable for a wide variety of applications that require bonding polycarbonate to itself and a variety of other substrates, while not inducing stress cracking under typical molded stress levels.